Ah winter, the season of fuzzy socks, hot chocolate, and dry skin. My combination skin tends to freak out this time of year and has no idea whether it wants to be oily or dry. As a result, I get these weird dry patches all over my face, and my t-zone goes berserk. Thankfully, I implemented a few changes in my routine to ensure my skin is getting the boost in hydration it needs, all while avoiding clogging pores and aggravating my oily t-zone. Here are some of the products that make this chilly season much more bearable. Acne is an issue for me all year long, and I find that traditional clay treatments are very effective at clearing blemishes but often leave my skin dehydrated and rough. I started using the Honey Potion mask earlier this year, and it has completely changed the way I think of acne products. Honey is antibacterial and antiseptic, so its fantastic for clearing acne, but it is also super nourishing and hydrating. I love using this mask for clearing acne this time of year because it doesn’t dry out my skin one bit. I also love the warm sensation of this mask and how plump my skin looks after using this. A little bit of product goes a long way, so the jar has lasted me a good amount of time too. Caudalie is one of my favourite skincare brands ever, and I am obsessed with so many of their products. 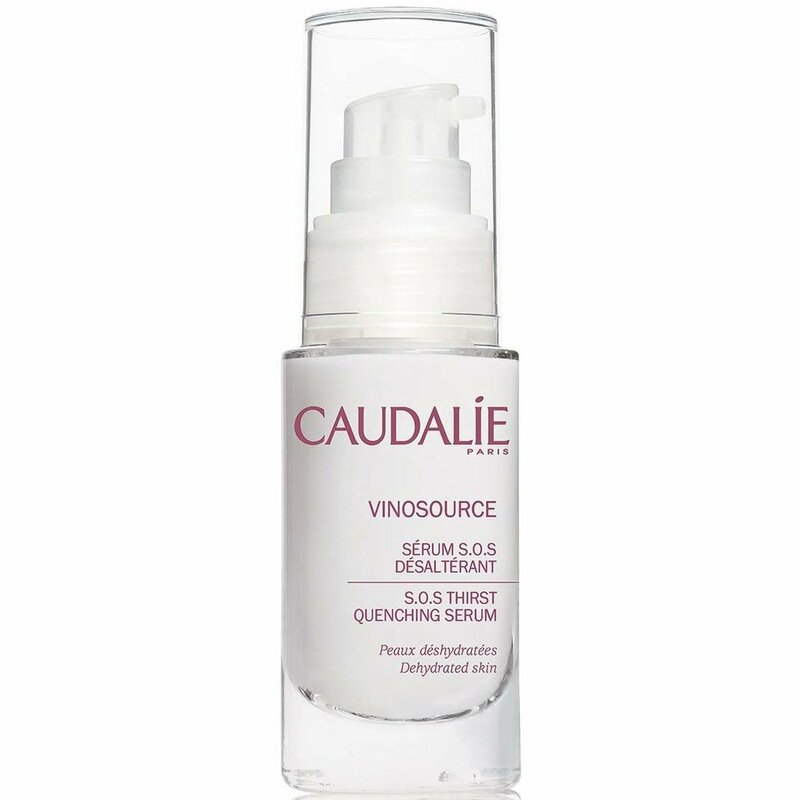 One of the products that made me fall in love with Caudalie is the SOS Thirst Quenching Serum. This treatment is super lightweight and sinks into my skin effortlessly, but packs a serious punch in hydration. After my first use, I immediately noticed how nice it made my skin look, and I saw a huge difference in brightness too. I use the SOS serum in the morning since it doesn’t disrupt the rest of my routine, and at night to lock in moisture before bed. This serum has become such a vital step in my winter routine, and has really helped keep my skin happy and healthy this season. For some reason when I find out that a product has rose oil/water as an ingredient, I immediately love it. The Rose Face Mask from Fresh is no exception, and I don’t think I could get through this season without it. This mask is incredibly hydrating, and leaves my skin feeling clean, toned, and ready for makeup. I like using this in the morning to prep my skin for the day and create a base for my makeup. The Rose Face Mask is also very soothing and has been a lifesaver for when I accidentally stay out in the cold for too long. Frostbite can be so painful, and that this mask calms down my irritated skin. We can’t forget about our lips this season, and Bite always has me covered. The Agave Lip Mask basically lives in my purse, and has been so useful this season. I find that since this balm is so thick, it creates a protective barrier between my lips and the cold weather. This lip treatment locks in moisture and helps prevent chapped lips. A little goes such a long way too so the tube will last me years. I own several shades of the mask but “Champagne” is my favourite because it adds a little glow to my makeup look. If you’re looking for a high quality lip treatment, Bite is the way to go!